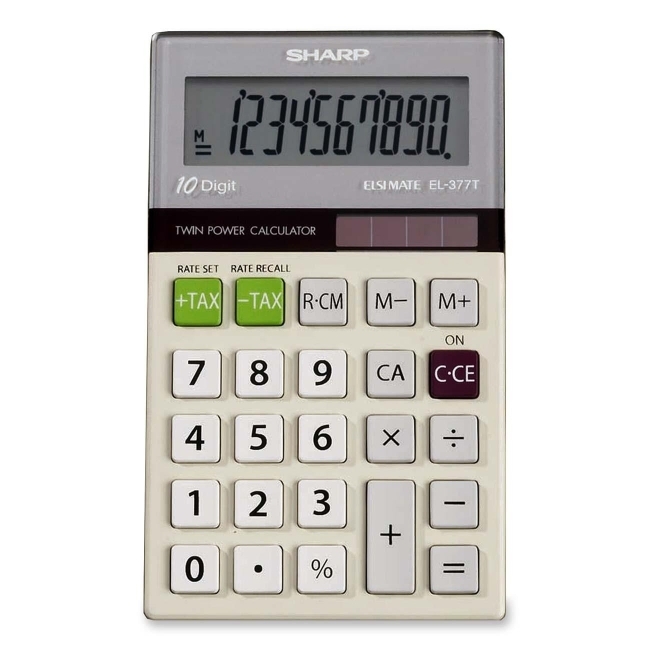 10-digit pocket calculator features a liquid crystal display (LCD), three-key memory, percent, tax keys, auto shutoff, and metal case. Three-key memory includes memory plus, memory minus and recall/clear memory keys. Twin-powered solar operation automatically switches from solar cells to battery (LR1130) power in low light. Calculator is lead-free and mercury-free.